Yet each year more and more scientists are turning to zebrafish to unravel the mechanisms underlying their favourite genetic or infectious disease, be it muscular dystrophy, schizophrenia, tuberculosis or cancer. My (conservative) estimate is that zebrafish research is now carried out in at least 600 labs worldwide, including 20 in Australia. So what is it about zebrafish that has taken them from the freshwater rivers and streams of Southeast Asia, beyond the pet shops and into universities and research institutes the world over? A scientist called George Streisinger, working at the University of Oregon in Eugene, USA in the 1970s and 80s, recognised the vast potential of this organism for developmental biology and genetics research. In contrast to fruit flies and worms, the other simple model organisms established at the time, zebrafish are vertebrates. They have a backbone, brain and spinal cord as well as several other organs, including a heart, liver and pancreas, kidneys, bones and cartilage, which makes them much more similar to humans than you may have otherwise thought. In just 24 hours, the zebrafish heart is beating and blood is circulating around the body. But as a vertebrate model, could they be as useful as mice? Several things captured Streisinger’s imagination. Most famously, zebrafish embryos, unlike mouse embryos, develop outside the mother’s body and are transparent throughout the first few days of life. This provides unparallelled opportunities for researchers to scrutinise the fine details of embryonic vertebrate development without first having to resort to invasive procedures or killing the mother. But this advantage is enhanced by the fact zebrafish reproduce profusely (each pair can produce 200-300 fertilised eggs every week); an ideal attribute for genetic studies. Again, the large, external embryos are a critical part of this success. When just one or two cells old, zebrafish embryos can be easily microinjected with mRNA or DNA corresponding to genes of interest; undeterred, they then they go on to grow and reproduce, handing down the injected gene to the next generation. A paper published last month in Nature unveiled the long-awaited sequence of the zebrafish genome, revealing that zebrafish, mice and human have 12,719 genes in common. Put another way, 70% of human genes are found in zebrafish. 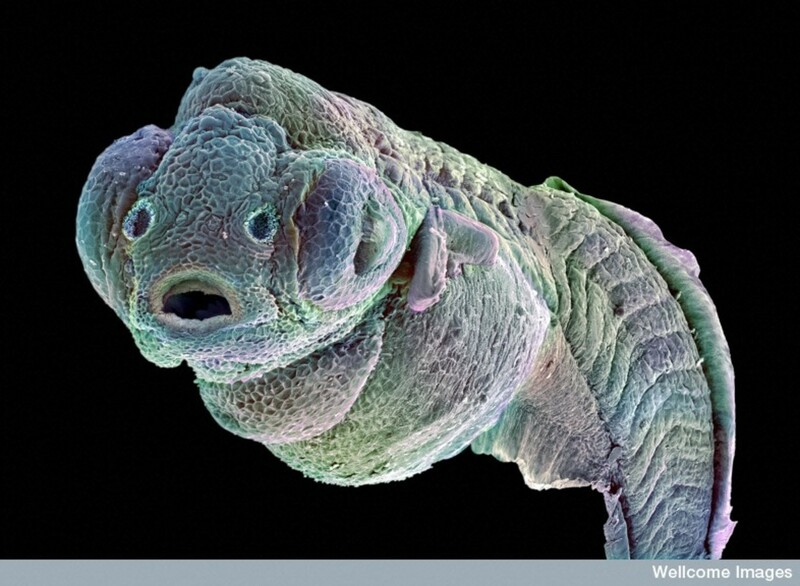 But even more notable is the finding that 84% of human disease-causing genes are found in zebrafish. Perhaps not surprisingly then, when these genes are injected into zebrafish embryos, the growing animals are doomed to acquire the same diseases. And while zebrafish are still used widely to answer fundamental questions of developmental biology, much current research is directed towards combining their many attributes in studies that are designed to improve human health. This is especially true for cancer research where the expression of cancer-causing genes (oncogenes) can be directed to specific organs, virtually at will. This process, known as transgenesis, is very straightforward in zebrafish and has allowed researchers to produce zebrafish models of liver, pancreatic, skeletal muscle, blood and skin cancers, to name but a few. And when the genomic make-up of these zebrafish tumours is deciphered using the latest DNA sequencing technology, the patterns of mutations, or “gene signatures”, are found to overlap substantially with those in the corresponding human tumours. These parallels have encouraged researchers to exploit zebrafish in drug development – in particular for high throughput approaches such as chemical/small molecule screens. 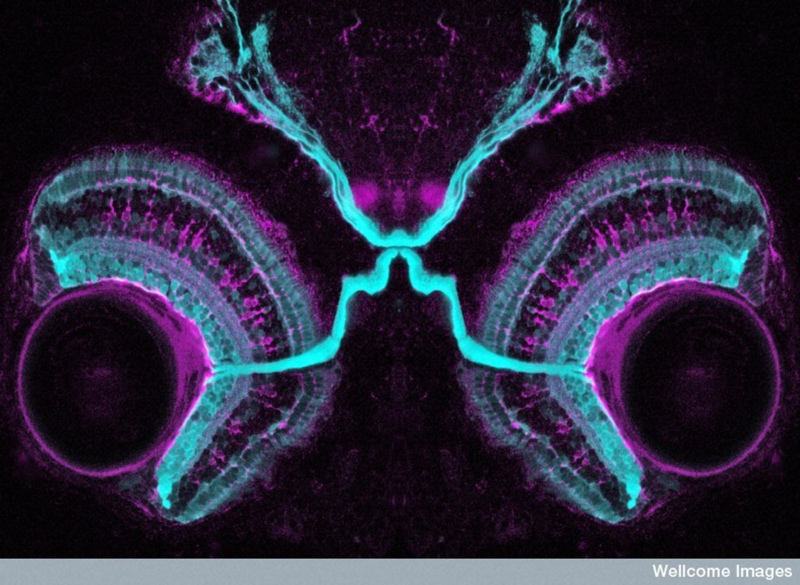 Here, the ability to generate tens of thousands of zebrafish embryos harbouring the same disease-causing mutations is crucial. Then, as the tumours grow in the synchronously developing larvae, the fish are transferred to small volumes of water containing chemicals that may stop the growth, or better still, kill the cancer cells. Large collections of drugs can be screened relatively quickly for anti-cancer efficacy in this way. One drug, Leflunomide, identified in such a screen is now in early phase clinical trials to kill melanoma cells. The only other drug from a zebrafish chemical screen currently in clinical trials is dimethyl-prostaglandin E2 (dmPGE2). There, the intent is not to kill cancer cells but rather to make mainstream leukaemia treatment more effective. 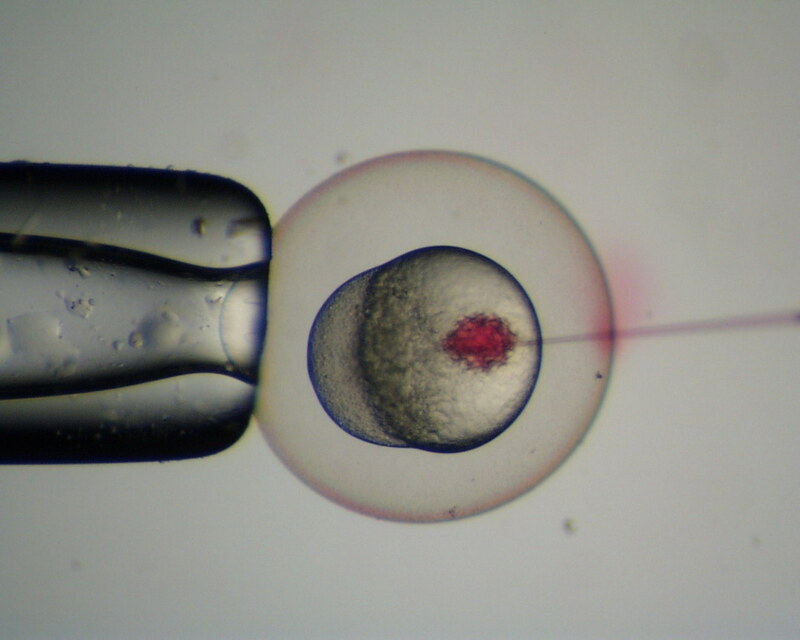 Studies of dmPGE2 increased the number of blood stem cells in zebrafish embryos and it is being trialled now as a way to expand the number of stem cells in human cord blood samples. Human cord blood samples are a valuable commodity to restore bone marrow in leukaemia patients after high dose chemotherapy when a matched bone marrow transplant is unavailable. But the success of this approach is currently limited by the scant number of stem cells in individual cord blood samples, requiring the use of two precious samples for each patient. As well as the transgenic zebrafish models of cancer described above, researchers are also transplanting cells derived from human tumours into zebrafish embryos and watching them grow and spread. 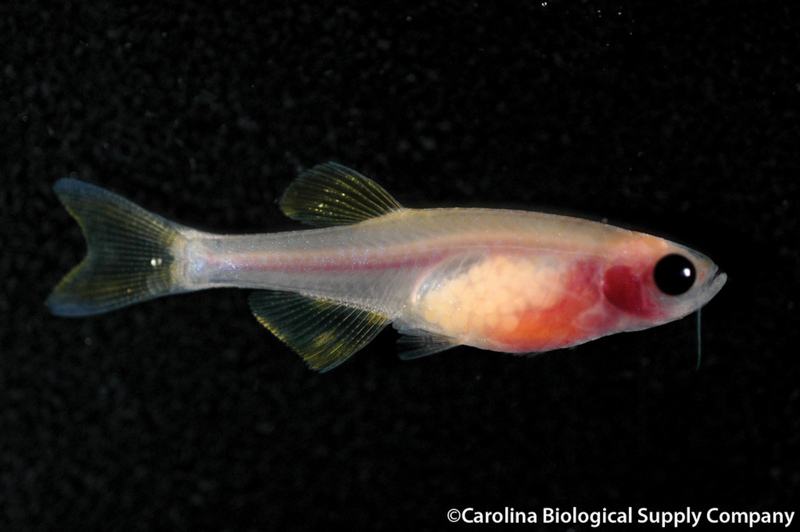 The creation of a transparent (non-striped) version of adult zebrafish (called casper, after the cartoon ghost) means the behaviour of tumour cells inside these living organisms can be followed for days at a time. Coupled with the advent of high resolution live-imaging techniques, the birth, growth and spread of tumours can be scrutinised in movies that can be played over and over again. These experiments are usually conducted in zebrafish that have been genetically modified to express genes that glow in specific body compartments, giving researchers the ability to pinpoint potentially critical connections between “host” cells and tumour cells that may determine whether the latter survive or die. This type of experiment is revealing a complex interplay of potentially beneficial and detrimental components. While the proximity of immune cells may instigate mechanisms capable of destroying the tumour, the stimulation of new blood and lymphatic vessel growth towards the tumour is more insidious, since it delivers the tumour with both the nutrients it needs to survive and a network to spread throughout the body. These processes, once properly understood, are likely to provide opportunities for therapeutic intervention in the future. Excitingly, research is also underway in this country to unravel the genetic mechanisms controlling heart, skeletal muscle and nervous tissue regeneration in zebrafish, in the hope that these processes can be one day recapitulated in humans to address the burgeoning socioeconomic problem of tissue degeneration in our ageing population. So next time you peer into someone’s home aquarium, imagine the biomedical possibilities inherent in this lively and amiable little fish!